A rough cut of Wolverine (the upcoming movie) leaked onto the net recently (rumor is that Obama gave it to the Queen when he gave the Queen the gift of an iPod the other day. She must have then leaked it to the world). I’ll wait for the finished film myself. 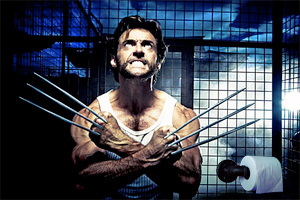 But it gives me the excuse to run this picture of Wolverine.